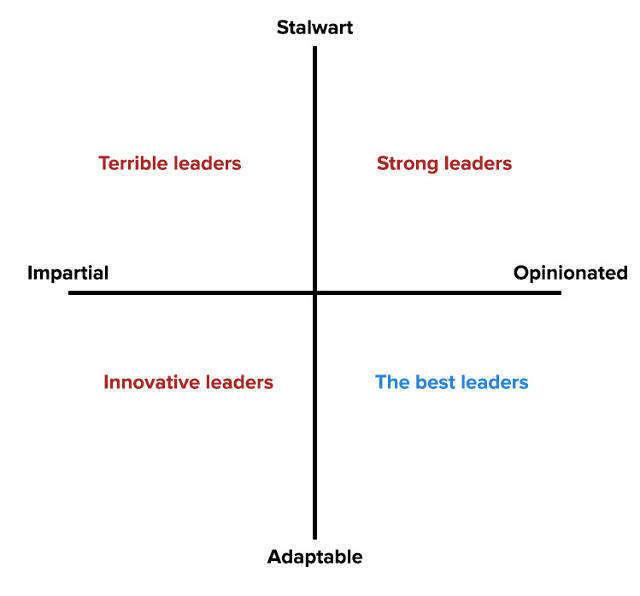 There are a lot of ordinary companies run by average leaders. And then there are extraordinary visionaries like Elon Musk, who set revolutionary ideas into motion and convince people to believe in big, important visions. Musk’s otherworldly ambition, divine purpose, defiance of the status quo and fierce commitment to his work is sacred and deeply personal. While we don’t all have the means to launch groundbreaking moonshots like Musk, he offers important principles that entrepreneurs can learn from. The five leadership traits outlined below will help you hone your leadership chops and be the force behind an extraordinary company. 1. Be obsessed and obsessive. Many leaders share the mindset to “just get it done” or accept it’s good enough even when it’s not. This kind of thinking makes many companies mediocre. Musk is the opposite. He isn’t just passionate about what he does, he’s obsessed with it. His work is his oxygen. The hustle is real. He’s admitted to devoting nearly every waking hour to shaping his ideas and executing them. He’s obsessed with the tiniest of details and sets extremely high expectations for himself, his products and his team. He’s been accused of being uncompromising and unreasonable, of tearing things apart and starting over, of criticizing the poor performers around him and of pushing beyond limits. By having a relentless work ethic, striving for excellence and not settling on mediocrity, you’ll set yourself apart from everyone else who’s willing to play safe and accept good enough. 2. Love the brand like a religion. From his inspirational TED talks to his veracious vision for a sustainable future, Musk’s personal love of Tesla and his other companies is undeniably contagious. His work is highly personal to him. It’s born from the heart, nurtured into existence, fiercely guarded and passionately loved. This conviction fuels trust, adoration and even worship. As a leader, you teach others how to treat your brand by how you treat your brand. If you want others to love it, you have to love it. If you want the brand to run through their veins, it has to run through yours first. The consumer-made “Fireflies” video below demonstrates how passionate Tesla’s fans are. The video depicts a future devoid of fossil fuels with Tesla at the forefront of a clean energy revolution. More effective than any paid campaign, user-generated content is a symbol of love and loyalty. By pouring your heart into your work and inviting people to participate in your vision, you can attract swarms of dazzled fans willing to show you their love and respect. 3. Transform your industry by doing the impossible. In the words of Muhammad Ali, “Impossible is just a word thrown around by small men who find it easier to live in the world they’ve been given than to explore the power they have to change it. Impossible is not a fact. It’s an opinion. Impossible is potential. Impossible is temporary. Impossible is nothing.” Musk’s enormous ambition to do what everyone says can’t be done far exceeds everyone around him. Doing the impossible starts with having a grand, albeit crazy, vision. Most organizations have vision statements, but few are truly visionary. Leaders who lack vision cannot inspire teams, motivate performance or create anything of real value. Poor vision, narrow vision or non-existent vision causes leaders and companies to fail. By having an inspiring vision and communicating the value of the vision, you show the way forward for your team and audience. 4. Ignore the vision stealers and dream crushers. Musk has spent his entire life proving people wrong. He has effectively built an army of people that believe in his mission and support his every move. Musk isn’t swayed by those who doubt him. Despite considerable amounts of skepticism, he continues to fight for his beliefs and challenge the naysayers. Take his response to the Model S erupting in fire. This self-authored post on the Tesla blog explains the technical crash details and discusses the car’s safety measures, ending with “For consumers concerned about fire risk, there should be absolutely zero doubt that it is safer to power a car with a battery than a large tank of highly flammable liquid.” By approaching all crises and doubts head on and using true facts to defend your position and company, you’ll tell a story that’s much more effective than any marketing claim could ever be. 5. Be a rare breed in your industry. Just like the world doesn’t need another restaurant that serves frozen fried chicken fingers, it doesn’t need more “me-too” companies and brands. Don’t be just another company — be a rare breed. Tesla is anti-ordinary. Its online marketplace is a destination for potential buyers with interactive product specs and video testimonials that far outshine in an industry known for being aggressively “salesy.” A recent survey by Pied Piper suggest Tesla’s sales people were not so good. And that’s exactly what Musk intended. He said of his salespeople, “Their goal and the sole metric of their success is to have you enjoy the experience of visiting so much that you look forward to returning again.” By leading a company that doesn’t look, feel and sound like the rest of the market, you’ll set your brand up for success. There is no denying that businesses with magnetic leaders can ignite change, impact customer perceptions and drastically affect the success of their businesses. You don’t have to be Elon Musk to make extraordinary things happen, but it does require ambitious, exploratory and ground-breaking ideas that aim for breakthroughs instead of incremental improvements. A new book called Smart Cuts by Shaun Snow also looks at Musk’s leadership style, and compares it to that other magician of the 21st century, the late Steve jobs. Both were unique, innovative leaders. Snow focuses on their ability to be passionate believers, but also open to change. These two companies share much in common. Aside from the billion-dollar valuations and ambitious technology they produce, they share a chief executive: the infamous Elon Musk, a polymathic self-made billionaire who also founded Zip2 and PayPal and currently chairs the energy company SolarCity. If anyone in our generation has the chance of being remembered 200 years from now for his or her work, it’s probably Musk. Ironically, the thing that makes his companies and inventions so impactful is also the thing that makes him frustrating to work with. One former employee told me that for example an engineer might spend nine months working 100 hours a week on something because Musk has pushed him to, and then out of nowhere Musk will change his mind and scrap the project. A good leader needs to be extremely persuasive to get people to follow her, and to push people hard to stretch what’s possible. That persuasion comes with expressing strong opinions. Think of the best leaders in history—Mandela, Churchill, King, etc.—and you’ll see a pattern: they tell great stories, with boldness, absolutely convinced that they are right. They both inspire and grab attention. Says Dolly Singh, former HR head at SpaceX: “The thing that makes Elon Elon is his ability to make people believe in his vision.” Jim Cantrell, SpaceX’s first engineer, adds, “The guy is pure ambition. He’s three or four steps ahead … Most of us can’t conceive these things working; he can’t conceive it failing. Period.” This is the hallmark of an opinionated leader. Some people love us, and some people hate us. But very few people ignore us. The problem with opinionated leaders is that even the smartest people get things wrong, and many leaders fear changing course once they’ve expressed an opinion for fear of appearing weak. And yet, the hallmark of innovative thinking is the ability to be open and adaptable. Continuing on a path just because you’ve committed to it is not a formula for success (or happiness, for that matter). And as I documented in Smartcuts, the fastest-climbing people and companies are willing to deviate from their original business or career plan. Whereas a strong leader needs to be resolute and persuasive, an innovative leader needs to be open to changing her mind. Employees at SpaceX said people would follow their CEO into the sun. And yet the high-speed turns required to get there often lead to burnout. A strong leader needs to be resolute and persuasive, an innovative leader needs to be open to changing her mind. Apple’s Steve Jobs, like Musk, lived in the bottom right quadrant. He was fiercely opinionated in his vision, highly charismatic in his delivery, and often abrasive with those who didn’t agree. But when he changed his mind about something, he became fiercely opinionated in the opposite direction. Most of us are not Steve Jobs. We should be humble enough to admit that we’re not right about everything. But most leaders who invoke Jobs when passing down orders forget that he was humble enough to change his mind. Being strong-willed alone didn’t make Apple successful. Only when the company combined a strong point of view with the willingness to change did it succeed—after years of middling performance in the ‘90s. It’s for this reason I’m convinced that one of the best things we can do for children is sign them up for debate class. Debate trains you to be opinionated and persuasive about a topic, and then to turn right around and be just as opinionated on the other side of that topic. It trains you to let go of ego and jump into deep water with both feet. There’s stigma associated with leaders who change their minds. Yet the best presidents of the United States were the ones who changed their minds (and their careers) the most. We forget that Hillary Clinton was a staunch conservative before she was a zealous Democrat (and Ronald Reagan in the other direction). We forget that Nokia used to be a paper mill and Twitter was a podcast company before it about-faced and went all in on social networking. If my own company hadn’t shifted its business model and jumped into a new pool with both feet, we wouldn’t have 1/10th of the impact we have today. You need an open mind to invent, and a strong will to execute. We don’t have to be insufferable to make that happen (it is possible to be opinionated, adaptable, and tactful), but innovation does require both elements. So perhaps we shouldn’t be so quick to dismiss flip-floppers. They’re the ones, it turns out, who change the world.